Human beings tend to make assumptions about the world around us and the people with whom we interact. We take a quick glance and if someone is wearing ragged clothing, we assume he/she cannot afford a new outfit. Perhaps a new person you met did not give a good first impression. It is easy to assume that their “less-than” best presentation is representative of him/her or of all future interactions. Maybe because you read a bad review about a restaurant, so rather than experiencing it for yourself, you forgo an excellent dining experience. As applied to interactions with our children, if a child arrives home and appears irritated, we assume our child did not have a good time at the other parents home. Or, if our child is learning well at school, outsiders may assume the child is well-adjusted and dismiss other potential problematic areas. Yet another example, your child fails to spend time with you for a weekend or two and you assume your ex-spouse is the culprit. You fail to recognize the child’s own contributions to the perceived rejection. To make assumptions is to be human. If we recognize that assumptions are part of human nature, then we are able to become cognizant of our potential assumptions and vigilantly strive to fact-check. Engaging in meaningful conversations with others, can mitigate a lot of unnecessary blame, burden, and erroneous conclusions. With regards to relationships, besides examining our assumptions, another area of opportunity is understanding our anger. Similar to making assumptions, addressing anger is another part of the human condition. 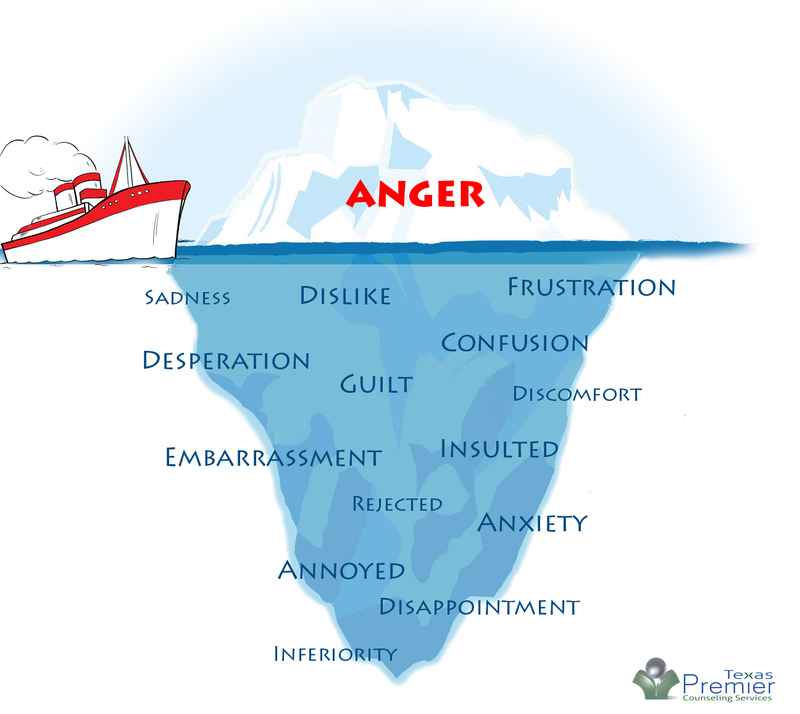 It is helpful to think of anger like an iceberg. For example, if your teenager tosses their backpack on the floor and slams the door afterschool, we observe what many would identify as anger. However, like an iceberg, there is more going on below the surface. Anger can manifest as the expression of other feelings that are often unseen. Anger can be external and/or internal. As an example, one child may become sullen and remain in his/her room, while another child may act out by kicking a closet door. 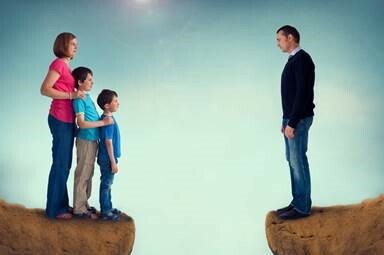 A problem arises though when we assume that the cause of the child’s anger has been created by our ex-spouse. Certainly, in some case of alienation, a child’s anger stems from the actions of a parent who blatantly ignores a court order. However, we must recognize that at times it appears as though our ex-spouse is mistakenly the source of our child’s anger. It is imperative that we distinguish that many feelings are below the surface, if we are to effectively address anger. When we fail to consider other possibilities for a child or adolescents rejection, such as his/or her own role, further problems are created. In the area of helping alienated children and parents, quick fixes and easy answers are often highly desired and sought. This is clearly understandable, because when we as humans hurt, we want the pain to stop. If we are cut we reach for a Band-Aid, but deeper cuts require stitches. We realize that time can become the enemy of a child or adolescent who is defiant and becoming contact resistant. In pursuing help with overcoming parent-child contact problems, it is easy to gravitate to the “latest and greatest” answer(s) to alleviate our child or adolescent from psychological abuse. Again, much like the iceberg, there are many nuances in treating alienated families. There are often times more going on beneath the surface. Treating a deep wound with a Band-Aid simply will not work. What can a parent do? Awareness and education are the key. Realize that time can be both your friend and your enemy. Educate significant others about alienation. A Crisis can be an opportunity to connect with an alienated child. Do not counter reject your child or adolescent (think of the anger iceberg – your child does not hate you). Correct your child/adolescents distorted views of you – timing is everything. Silence is not always golden. Work through intense emotions. Help your child or adolescent understand what is going on beneath the surface. Realize that hurting people act out (content and happy co-parents do not engage in constant denigration – again think of the iceberg). Refrain from name calling and labeling your ex-spouse. No, not everyone is a sociopath, borderline, and/or a narcissist. Parent-child contact problems are best treated when caught early and can be corrected sooner vs. later. Realize that letting go does not mean giving up (sometimes parents need a respite). 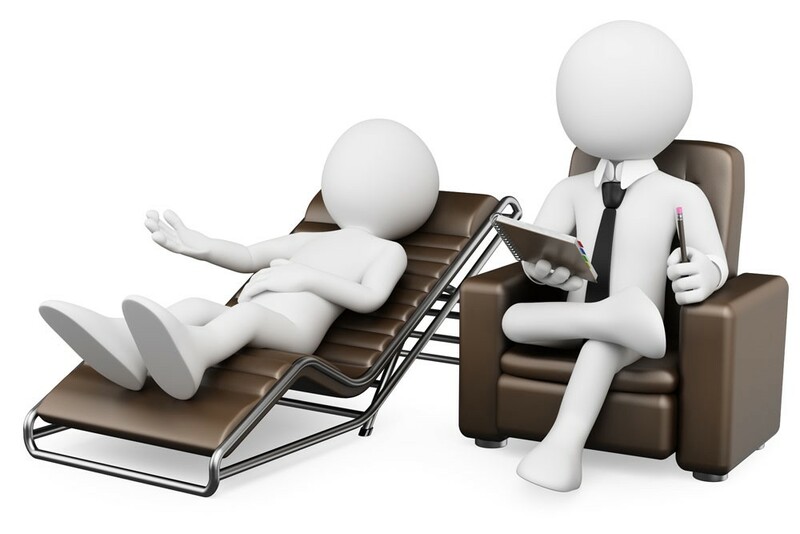 Revises history to eliminate or diminish any positive memories of experiences with the rejected parent. Has reactions and perceptions not justified by or disproportionate to the rejected parent’s behavior. Has a stronger, but not necessarily healthy, psychological bond with the alienating parent than with the rejected parent. Tells stories about one or both parents or the situation that are repetitive and lacking in detail and depth. Displays independent thinker phenomenon; he or she will claim beliefs about a rejected parent are his or her own and not the alienating parent. Shows signs of role corruption, role reversal, or triangulation. May struggle with internalizing problems such as anxiety, depression, phobic reactions, or low self-esteem. May manifest signs of externalizing behavioral problems including, but not limited to bullying, sexual behavioral problems, or oppositional behavioral struggles. Expresses worry for the preferred parent and vocalizes a need to care for that parent. May appear to function adequately in some environments ( e.g. earning As in school) while struggling in other environments (struggles to maintain friendships).May bad-mouth rejected parent’s new family. Demonstrates inconsistency between statements or allegations about rejected parent and behavior with the rejected parent. Evidenced Informed Information. Adapted from Gardner 1985; Kelly & Johnston 2001; Warshak 2001; Baker 2005; Cartwright 2006 and Garber 2007.